NEWKIRK — Kay County Assessor Susan Keen announced Wednesday that personal property assessments are being mailed today to county residents. Property tax, also called real estate tax, is on a home and land on which it sits. assessed at 11 percent of the property’s value as determined by the assessor’s office. The office determines the value by measuring the property and comparing it to other real estate sales. Outbuildings and commercial buildings are considered real estate. The property tax is calculated by multiplying the assessed value by the millage determined by each school district, as decided by voters. Personal property tax is calculated on 14 percent of the ad valorem value. That is multiplied by the same school district millage to determine the amount of the tax. Keen said personal property tax is assessed on businesses, farms, and leased land improvements, including mobile homes. Employees of Keen’s go out in February to make assessments on homesteads, which give resident property owners an exemption. 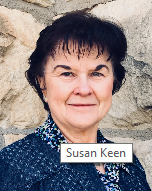 The exemption is for a primary homeowner living on the property; additional exemptions are given for senior citizens and a double homestead exemption is given to anyone under 65 with a confirmed income less than $20,0o0, Keen said. For more information, contact Keen at 580-362-2565.